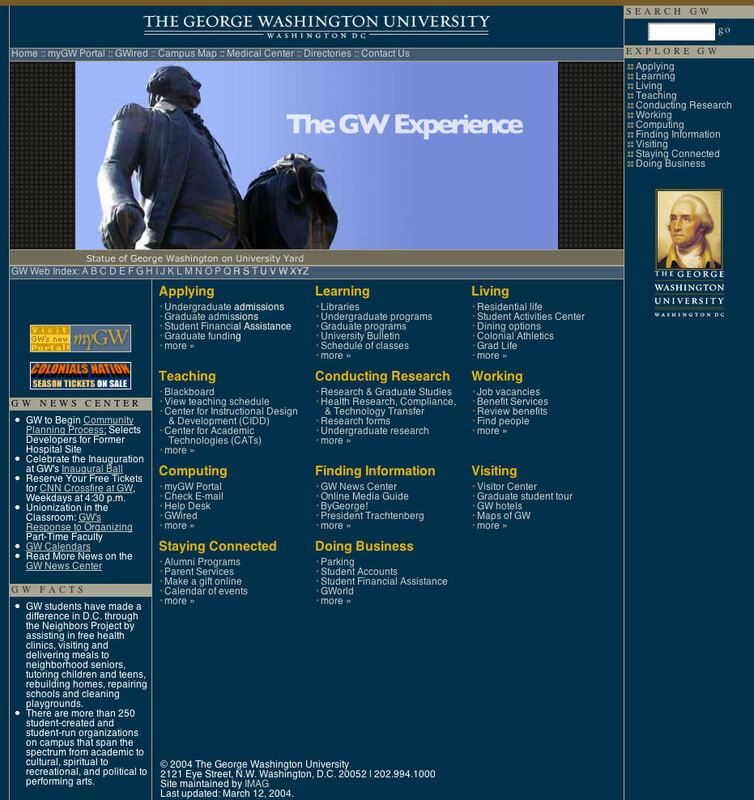 While employed at the George Washington University, I designed and developed over 25 websites for different departments. I conducted technology meetings with key department heads, server administrators and other management to discuss integrations, upgrades, requirements, and installations. 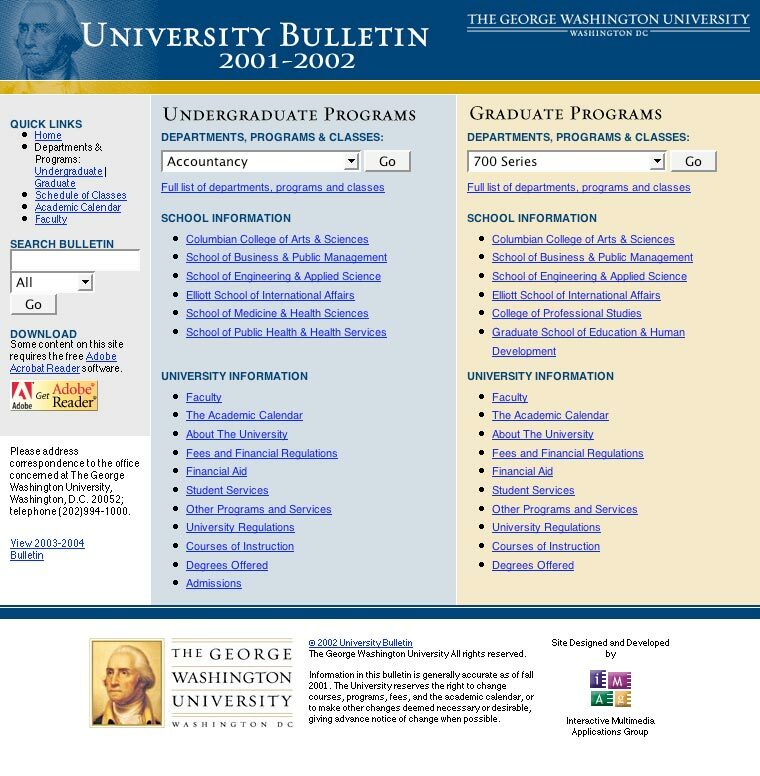 As a key member of the George Washington University web design and development team, one of the major initiatives involved redesigning the university's main website. The website is fully section 508 compliant. The site allows users to search for and access departmental websites. Once a year GW publishes their catalog of courses online. This interactive catalog provides students with detailed course descriptions. The template I developed was in use from 2002 through 2012. 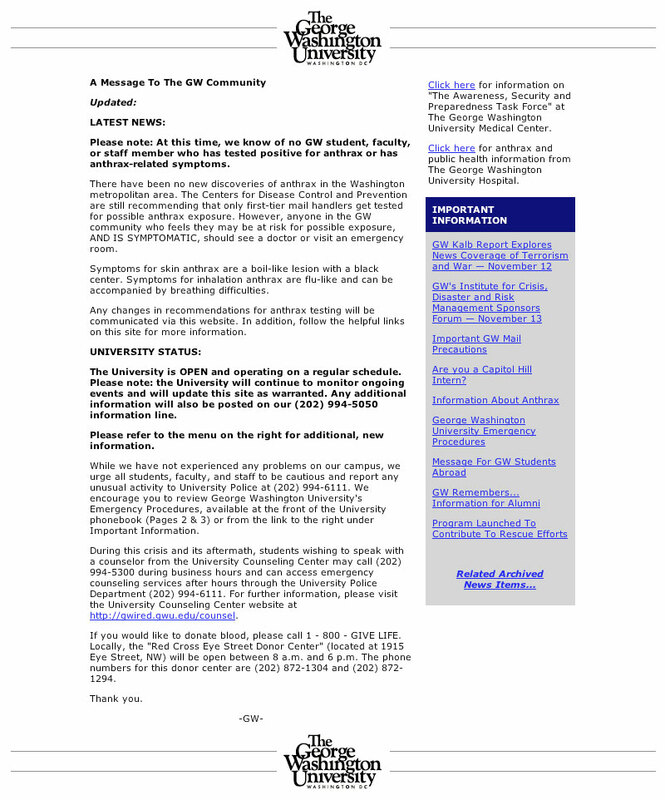 I developed a microsite to inform students, faculty, staff and parents of official university news in response to the September 11 terrorist attacks. Keeping in mind that many users were still on dial-up connections and stakeholders included parents from all over the world, I developed a template that was less than 5kb. Design and develop websites that complied with university branding guidelines.